Generally speaking, locking one’s car keys in their trunks is no more than an incredible nuisance. There are those occasions, however, where locking one’s keys in their trunk can lead to a rather dangerous situation. If you have accidentally locked your car keys in your trunk and require that it be opened then give FC Locksmith, the premier provider of locksmith services in Canada, a call. As simple a task as opening and closing one’s trunk may be, people are often distracted when accessing their trunk, in particular, when shopping. People will often be wrestling with packages, talking on the cell phone and dealing with rambunctious children simultaneously. Locking your keys in the trunk can result in a very serious problem especially if a young child or pet are left inside of the car during the summer months. Just as serious problem would be if one has locked their car keys in the trunk in the middle of the night on a deserted street. Some people will inevitably attempt to open the trunk themselves which is definitely not recommended. First, they will not succeed and it is a waste of time and second, they will most likely cause damage to the locks and or the car in the process. If you find that you have locked your keys in the trunk or just simply require that your trunk be open then you should always contact a professional locksmith. 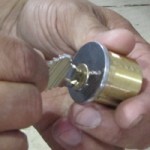 FC Locksmith’s call center is available 24/7 and is manned by our experienced and knowledgeable customer support staff. 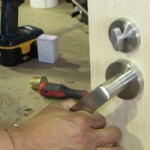 They will handle your inquiry and have one of our certified locksmiths dispatched to your location without delay. Our locksmiths travel in a truck stocked with all of the latest in equipment and technology and are up to date with all of the latest techniques. We will have your trunk open immediately and will get you on your way in no time. At FC Locksmith, your security and peace of mind are our priority.